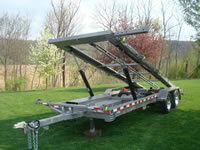 Trailers for the storage shed and gazebo industry. Creekside Welding and Jamar Trailers specializes in manufacturing custom built quality trailers designed to move your storage buildings and gazebos. 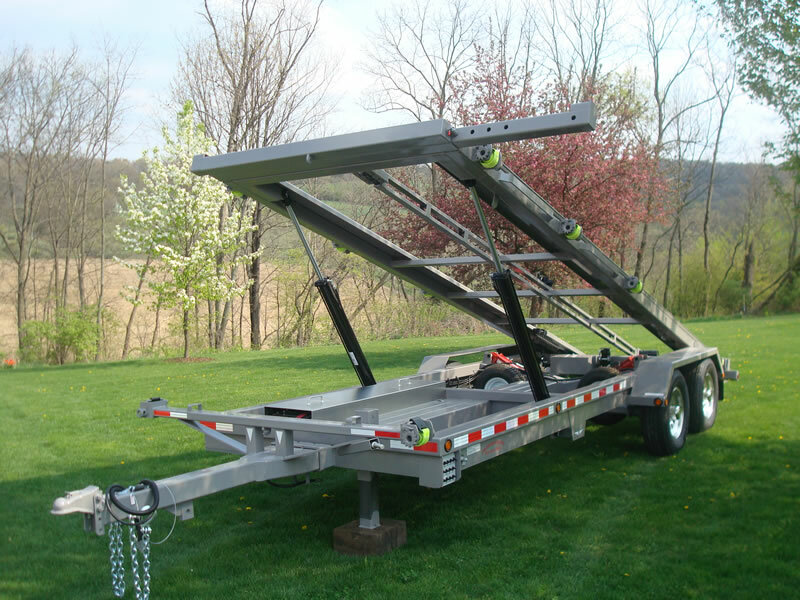 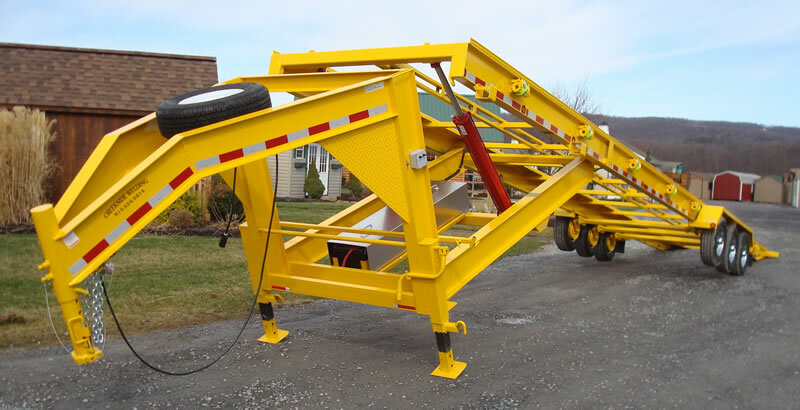 Trailers can easily and efficiently move buildings as large as 14' x 40'. 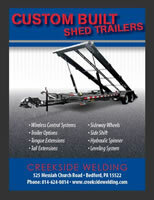 We are located in Bedford PA in south central Pennsylvania. 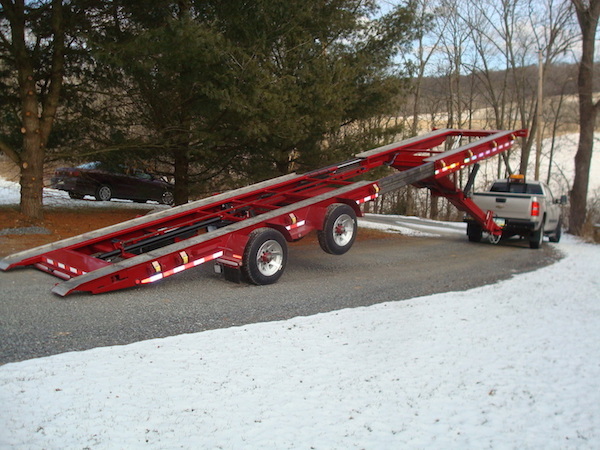 We offer a variety of options to fit your specific needs , tongue and tail extensions , side shift, pushpull chain , wireless controls, sideways wheel , leveling axles, and Honda Power.